The dealer told me I was the first to take possession of the car in New Jersey and possibly the US. I am not sure if that is true but I am very happy with the purchase. 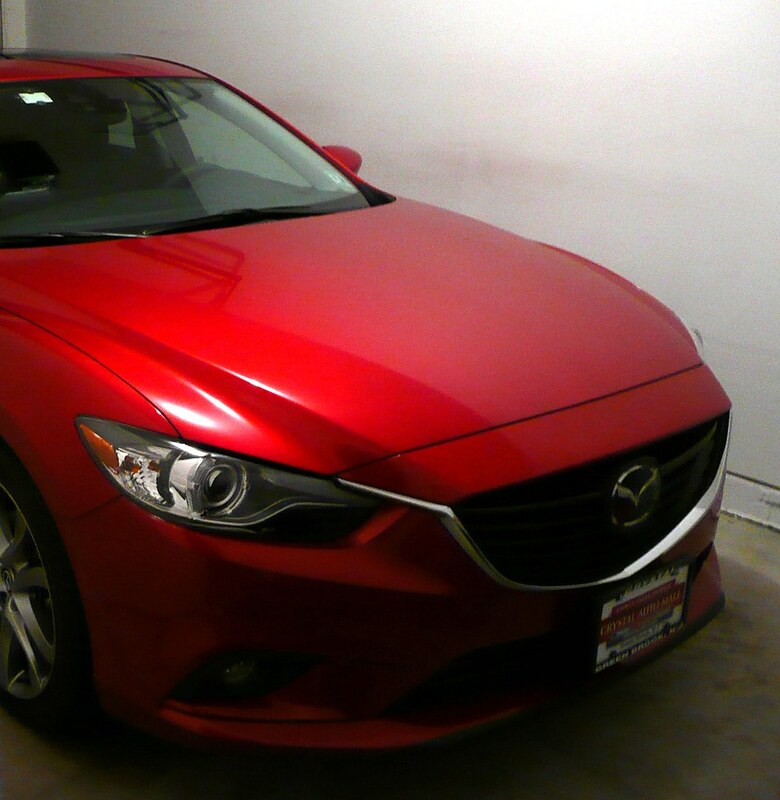 Last night I went to my my local dealer, traded in my 2009 Acura TL with over 80,000 miles, and purchased a 2014 Mazda 6. It was the dealer's showroom model but I was the 1st one to take it for a test drive. It had 3 miles on the car when I got to the showroom and 8 miles after my test drive. The car was a GT with the added active cruise control and forward obstruction warning package in Soul Red with black leather. That was the exact way I was looking to purchase the car so I was happy it was shown that way in the showroom. Now my dealer will be without a model to show for the next few weeks. The color is absolutely beautiful in person. I will have to spend some time this weekend looking over the manual. Nice i love how it looks! I doubt there will be mods for anything for awhile unless its custom made. And am i the only one who thinks that looks like a mitsubishi front end? Dont get me wrong i like how it looks though. The front grill does kinda have the Mitsubishi look. 2005 Mazda6i MTX Hatch: Traded. 2004 Mazda6s MTX Hatch: Totaled. If it's got the cruise/forward obstruction camera, it NEEDS the logo, since the logo is actually a plastic plate that the camera hides behind. It's not an actual plastic piece like on the 1st and 2nd-gen cars. to the 6Club, Alan. IIRC, you are indeed the first U.S. member of 6Club to take possession of a 3rd-gen. Congrats! Of course, more pics are required in this thread, along with driving impressions and other observations, so us other members can sit here and . Also, please list your location on the left side (under the username and pic), so we have a better idea of where the 3rd-gens are hitting the roads. Last edited by Mz6GreyGhost; 01-15-2013 at 07:59 AM. Very jealous I love the car. A gov't big enough to give you anything you want is big enough to take all you have. My goodness that car looks beautiful, congrats! I sold her for a 2013 Dodge Challenger. I'll be back if a MazdaSpeed6 version comes back!